In July 2018 Google started transitioning AdWords accounts from the old interface to the new UI exclusively. According to leading PPC agencies, the new update is aimed to help advertisers have tools, resources and incisive insights to drive performance in an increasingly complex and competitive paid search environment. How familiar are you with the new UI and how prepared are you to work with it? Here’s a list of things you need to look into before the old AdWords UI is retired forever. Take a tour of the new Google AdWords experience, that’s what the best white label PPC management professionals did. It’s a short, concise, five-step introduction that allows you to look at the new features in your new AdWords interface. Did you know that the navigation panel allows users to bounce between active/inactive campaigns? Take the tour! The new page menu is an interesting feature that allows you to jump between different things such as change history, extensions, audiences and much more. The overview tab shows up-to-date account-specific insights. There’s a new home for tools and reporting. There’s also a nifty Help icon. The tour also gives you an idea where these brand-new features reside. The layout in the new AdWords UI is completely different from what we were used to before. There are ways to navigate horizontally, vertically – it’s not an intuitive experience. The good news is that Google has assembled a map that makes it clear where everything is located and how to get there. Navigation has five main segments which are further sub-divided. 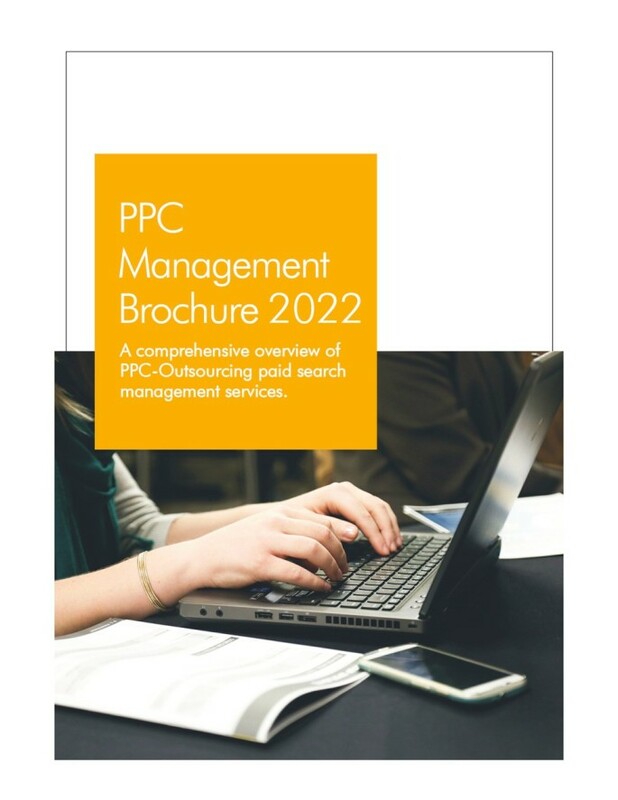 White label PPC management professionals recommend having a printout of where important tools reside till you’re more familiar with the new system. White label AdWords management professionals have observed that while most data and reporting is pulled into the new UI, there are some reports and rules that have been altered or have gone missing. Rules that rely on retired columns will no longer function. Reporting tools that have gone missing include Destination URL performance Report, Placement Performance Report, Automatic Placements Performance Report and Managed Placements Performance Report. Some reporting tools have significant changes such as reports containing columns that no longer exist. Some columns are not yet supported by Report Editor. Reports that use such columns have significant changes. Examples for this include Historical Quality Score, Ad Relevance and Landing Page Experience reports. The Dimensions tab goes by the name ‘Predefined Reports’ and resides within the reporting icon. White label AdWords experts have also noted that reports in .XLSX format is now converted to .CSV format. 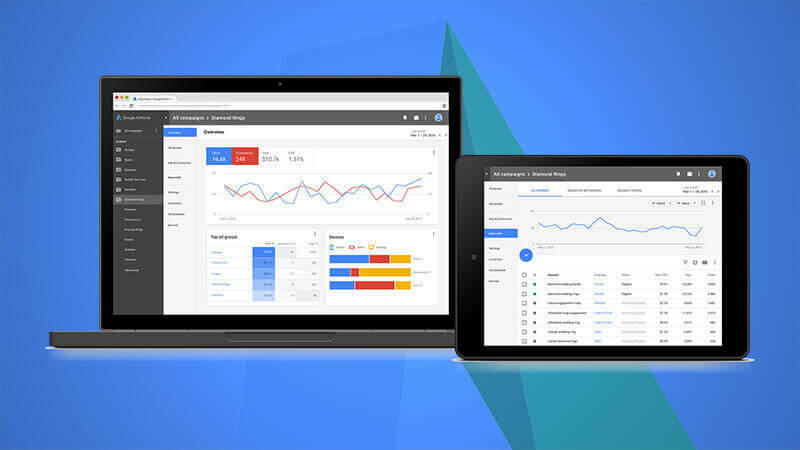 Many new, game-changing features have surfaced in the new AdWords UI. Now there’s call bid adjustments, a useful feature to control the frequency of call extensions. You can increase bid for more frequency or decrease bid for less frequency. This feature is available in Advanced Bid Adjustments. The new Promotion extensions allow you to add discount codes and limited period offers to search ads. E-commerce advertisers will be interested in showcase ads that allow marketers to present products in a shop-front format. With the new Audience Manager feature, you can align targeting options across RLSA and display. There’s also an easier way to A/B test ads and run the top performer. Earlier, video ad campaigns were restricted to YouTube, but a new format called Outstream ads allow you to show video ads to an audience beyond YouTube, on Google video partner sites and apps (applicable only to mobile devices and tablets for now. Also, you can create TrueView for action campaigns to drive sales and conversions – this feature enables you to add CTAs and headline text overlays to video ads on YouTube. Breaking a habit is always hard and switching to the new AdWords is not going to be easy. But the payoff is that once you get the hang of it, you will be able to take advantage of some pretty cool features to make your campaigns more profitable!